Wendy McColgan is one of the two trustees of the Alex & Elisabeth Lewyt Wholly Charitable Trust. A long time trusted advisor and friend of the Lewyt family, Wendy has been involved in the animal rescue field for over 30 years, having, among other things, managed the Out of State Rescue Program for North Shore Animal League, where she was intimately involved in the rescue and transport of companion animals from puppy mills and ‘kill’ shelters to the League for adoption. Wendy also personally assisted and accompanied Mrs. Lewyt in connection her own animal rescue efforts and projects, and is proud to carry on her legacy. Thomas R. Amlicke, who was a counsel and friend to Mrs. Lewyt for over 20 years, is the other co-trustee of the Alex & Elisabeth Lewyt Wholly Charitable Trust. A seasoned trusts and estates attorney with more than 50 years of experience, Tom received the Accredited Estate Planner® (AEP®) designation by the National Association of Estate Planners and Councils in 2004, and has been selected as a New York Super Lawyer in the New York metropolitan area every year since 2008. Well-versed in the area of trust administration, Tom holds a B.A from Dartmouth College and an LL.B. from Columbia Law School.He is the proud owner of his beloved Misha, a former rescue dog whom he adopted several years ago. Alexander Lewyt (1908 - 1988) was a visionary, inventor and entrepreneur. Elisabeth "Babette" Lewyt championed organizations that followed a no-kill policy for stray and abandoned pets. Together, the Lewyts were instrumental in saving countless animals from euthanasia, both through philanthropy and hands on work. 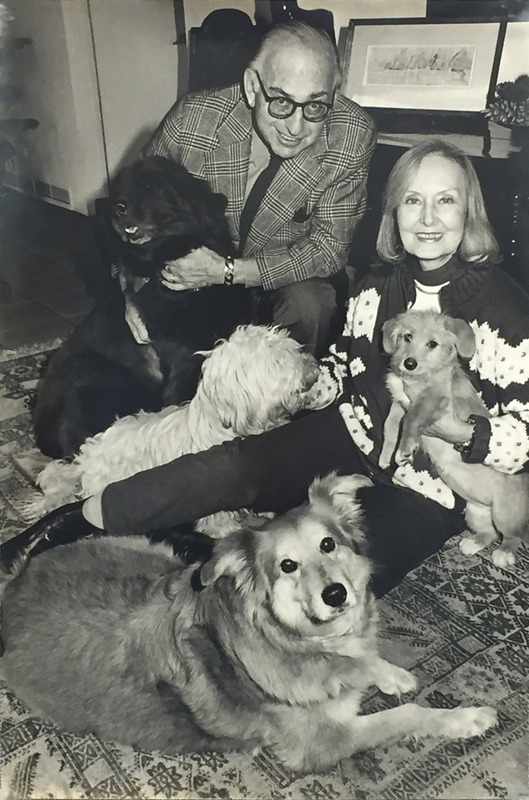 Elisabeth Lewyt (1913 - 2012) championed organizations that followed a no-kill policy for strays and abandoned pets. Elisabeth Roulleau was born in 1913 in Chartres, France, near the city cathedral, and immigrated to the United States in 1936, later becoming a naturalized American citizen. She married Alexander Lewyt in 1953 in New York City. After her passing in 2012, Mrs. Lewyt left the bulk of her and her husband’s fortune to the newly created Alex & Elisabeth Lewyt Wholly Charitable Trust, to carry on their philanthropy in perpetuity. Focusing mostly on Long Island, the Trust seeks to support organizations and programs that are consistent with its mission through grants and other initiatives.